If you fancy a tropical gaming getaway where high quality games are on offer as well as some fantastic promotions then you could do a lot worse than heading to the brand new Mambo Slots. 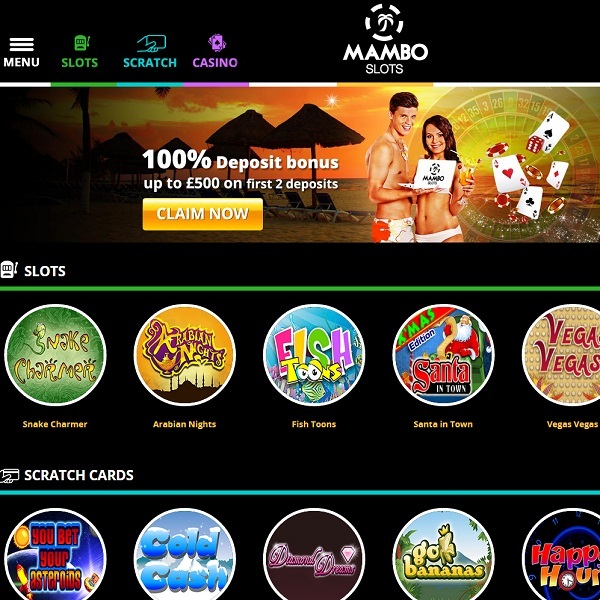 Mambo Slots offers games from Cozy Games and the selection is impressive. There are a number of video slots to be enjoyed such as The Lost Treasure and Cupid’s Arrow. Players will also find all the casino standards such as blackjack and roulette as well as some video poker titles and keno. There are also numerous themed scratch cards on offer for those who like quick games. Best of all, the games are all mobile compatible so players can enjoy them wherever they are. New players at Mambo Slots will receive 100% deposit bonuses of up to £500 on their first two deposits. There are then numerous other promotions and bonuses to enjoy such as weekly tournaments and slots cashback.